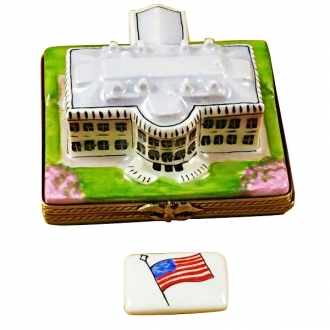 It was in 2008 that we decided to include the Limoges boxes, the world renowned collectibles, to our online store of Luxury European gift collection. But before recommending the boxes to our clients, we wanted to see the place where they are made, so that, we would get inspired by the origin and history of these wonderful artifacts. Limoges is the capital of Haute-Vienna department and the administrative capital of the Limousine region of West-Central France. 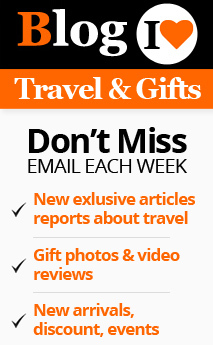 This is not a favorite haunt of tourists. But it would be wrong to decide that the place is devoid of anything interesting. On the contrary, there are a number of cathedrals built in the Gothic style. The cathedral of St. Etienne is one of them. This fabulous cathedral is built in the gothic style. The history of the cathedral says that the construction that started in the 13th century took many of the following centuries to finish it. But as I stood gazing at the magnificent architecture, I thought that it was worth centuries of toil. The façade of the Cathedral is an example of excellent workmanship. We enjoyed the serene atmosphere of the cathedral for a long time before moving on. We had heard a lot about the 17th century half-timbered houses of Cour du Temple. But when we stood in the square looking around at all those magnificent constructions, we were impressed by the fine craftsmanship that created these antique buildings. Even if some of them were in ruin, they still demonstrated the expertise of their builders. We had a taste of fine French cuisine from one of the restaurants that is housed in one of these buildings. When we heard the name Quartier Historique de Chateau, we were interested, thinking that we will have a chance to visit a French Chateau. But reaching the place we realized that it was a misnomer, as there was no chateau. But we had a magnificent church to visit – the church of St. Michel des Lions. It is an imposing building with a tall pointed bell tower. The copper ball that decorated the bell tower is a unique embellishment. 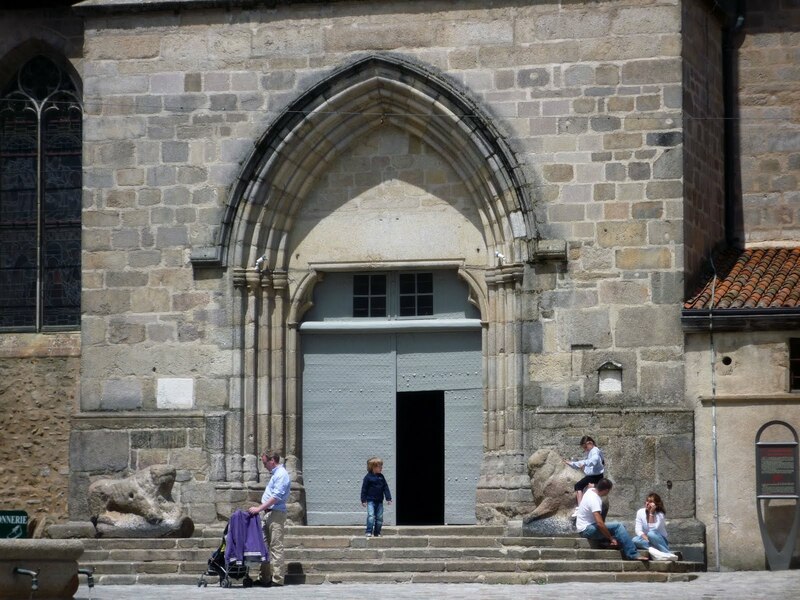 True to its name, the entrance of the church is guarded by two lions from the Roman era. The most spectacular thing about the church is its stain glass windows. All these wonderful artistic creations elevated our expectations about the Limoges boxes. But when we visited the showrooms and factories, we saw that they were far above our expectations. The exquisite porcelain boxes made of kaolin clay were perfect beauties. Limoges once thrived on the porcelain industry. It was during the 18th century the special white clay was discovered. This is called kaolin clay. The perfectly polished white surface of the porcelain boxes made it possible for the artisans to paint them in wonderful colors. These wonderful creations replicated almost everything under the sun. 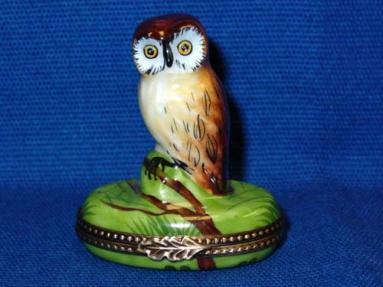 Apart from the painted ones there are quite a number of Limoges boxes with fascinating figurines on them. Their themes range from daily life to religion. 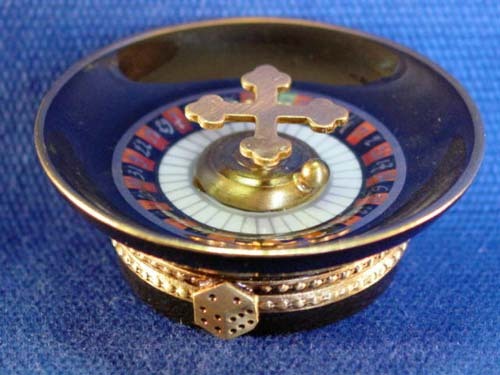 The Limoges boxes are fit for every occasion. You can gift these boxes to your dear ones on any occasion depending upon the relationship. 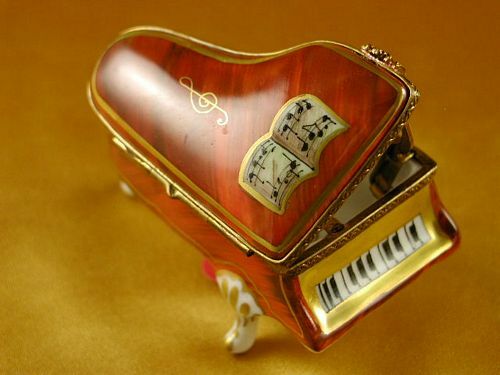 Limoges craftsmen had thought about every aspect of human life when they crafted these wonderful artistic boxes. These porcelain wonders are some of the most sought-after collectible items around the world. H: 1.25" W: 2.00" L: 2.25"